There is a standard that your vehicle must meet if it’s registered in the state of Utah. If your vehicle model is less than six years old, then you are required to get an emissions test every other year. Our excellent inspection services will keep you ready for the road and ready for registration. If you’re driving a newer car, you will not be required to receive an emission inspection every year. Transportation Repair in Logan, UT wants to protect you and your fellow passengers as well as protect the environment. Your vehicle’s exhaust system is necessary to direct harmful emissions away from the cabin. We are an authorized emissions inspection service station. Owners should come to us first for all of their auto service needs, including all inspections and emissions testing. Should your vehicle fail its emissions test, don’t worry! Our technicians can fix your vehicle’s emissions that same day. Come to Transportation Repair first for emissions testing. No matter what the results–pass or fail–you can always leave our shop with a passing grade. Our ASE Certified techs are experienced at providing all exhaust system repairs. The most obvious signs that your vehicle needs exhaust repair are: 1) loud/noisy engine, 2) exhaust gas seeping into the cabin, 3) harmful pollutants in the exhaust. All of these are signs of serious problems, but #3 goes unnoticed without the appropriate equipment. Without an emissions test, vehicle owners could be driving around breathing in pollution and sending it out into the atmosphere. Logan drivers do not need to wait for a mandatory emissions test or an inspection service notice before they come to us. Whenever you and your passengers notice exhaust system issues–loud engine, exhaust in cabin, harmful emission–you can trust us to diagnose and handle them for you. Emissions testing services are mandatory for vehicles to become registered in the state of Utah. Now is a good time to decide where you’re gonna bring your vehicle emissions test. Come to Transportation Repair, an authorized inspection service center that you can trust. All of our inspection and testing services are quick but thorough. All Utah motorists are required to do their part to protect the environment with emissions tests. Make us your one-stop shop for all vehicle inspection and emission testing services. Give us a call today at 435-752-0488 to schedule your vehicle for an emissions testing appointment. Save some time by scheduling right now using our convenient online scheduling system. Next time you’re in the area, feel free to stop by for any of our inspection and/or emissions testing services. 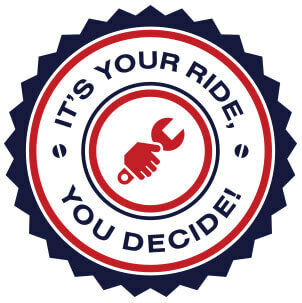 We look forward to serving you and servicing your vehicle.